I will be delivering a workshop to a group of young people next week and the topic involves decision making. 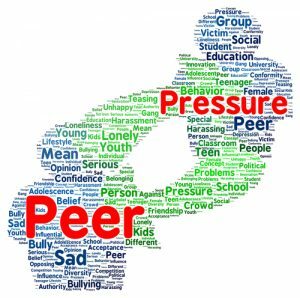 I decided to write about it today because it can be hard for kids and teens to navigate their way around friendships and peer pressure. It’s a fact that a child or teen won’t have a fully developed brain until their twenties, when the prefrontal cortex allows them to make more logical balanced decisions. If we expect our kids or teens to make the best decision every time, we are not just deluded, but we are not giving them a chance to learn- making mistakes and learning from the, is part of growing up and developing into an adult. Our Teens and even our tweens, are so influenced by their friends and peers in their everyday life. (By the way I love the tween definition my 8 year old told me, you may have heard it: ‘Tweens are too old for toys, but too young for boys’. There is no doubt they get an early blast of hormones around the age of 8, 9, 10 and we have mini teenage tantrums flaring up already in our house!). Their friends become their world. It sometimes feels like all they care about it what everyone else thinks of them. And if they are ‘seen’ to be babyish or childish or too girly or whatever it is…. it’s the end of the world. There can be a definite battle of wills, as they rebel against a lot of what we ask them to do… but that’s for another day! How do we guide them to make the best decisions for themselves… when they care so much about what others think. If you look up the definition of tween it describes this age group as ‘very easy to market to, as they follow any trends’ – to me that sounds a bit scary! You may ask what decisions do they have to make at that age: Well teenagers have some major decisions, we could start with what secondary school to go to, what subjects to choose, who to be close friends with, what to do if your friends are starting to try smoking, drinking, drugs…. girlfriends/boyfriends… the list goes on. You may think the younger tweens, have less decisions to make but in their world -friendships and their social world, is pretty big for them too. Falling out, making friends, deciding who to play with, who to sit with (if given the choice on a trip or outing), the drama starts to kick in – especially for the girls. Also there starts to be a lot of ‘who said what about who’, and secrets being passed around. The boys can sometimes work hard to have a certain image and their ego is quite delicate, what activities/sports they chose to do and are good at, and who they choose to be friends with, can shape them for a long time. There are tons of little decisions to make every single day. And the sooner we teach them to do whats best for themselves (not in a selfish way, but to be their best selves), and not worry about other people’s opinions, the better they will be able to make these choices throughout their lives. INNER VOICE: Listen to your inner voice, or your ‘deep down inside’ voice. You know what I mean, the part of you that knows, deep down inside what the right thing to do is.. if you are confused about what the right thing to do is see number 2. DEEP BREATHS: Take a few deep breaths and ask yourself what is the right thing to do.. Go with what ‘feels’ right. Not what your head is telling you. Not what others say, or not worrying what others will think or how others may judge…. just simply what feel right for you. THAT MOMENT: All we can do is make the decision based on what you feel is right in that moment. Not jumping ahead to the future or worrying about what happened in the past – that is us still living in our head. We can’t make a decision based on what might happen or what we hope happens. What is the right thing for you now, at this moment with the information you have? Weigh up your options try to be creative – you may have more options than you first thought. 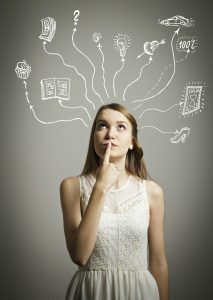 INTUITION: What I’ve described above is also called going with our gut feeling, or our intuition. You know when something just doesn’t feel right, then don’t do it. I’ve worked with young teenagers on this topic in relation to friends starting to drink… let your teens know they always have the option to leave and go home if they don’t like whats happening. Hopefully they will have some friends who feel the same. BE BRAVE, SPEAK UP: When you have too make a decision and it means letting someone down, or telling someone something difficult, or standing up to bullies, be brave and speak up. I’ve been working with a child recently on this topic, he was being bullied by a close friend and would think in his head what to say in response to being pushed around, but never said it out loud. It takes practice to speak your mind when you’re not used to doing it. SLEEP EASY: Which decision will allow you to sleep well? If you’ve made the wrong decision you may not be able to fall asleep because you’re thinking about it and you can’t let it go; It doesn’t feel right, or sit well with you. The right decision should allow you to rest easy.. and sleep without worrying because you did the right thing (or made the decision to do the right thing). Also a good nights sleep helps the teenage brain to develop and make better sense of the world! DRAMA: Drama causes trouble, and it can be nasty; I try to steer people away from it. I get some children coming to me and they could spend an hour (if I let them) telling me about the drama going on in their class or amongst their friends. Try to get them to see it for what it is.. a story. Steer clear of the drama, don’t get involved in ‘secrets’ or ‘rumors’ or the ‘Oh my God did you hear…’ type of stories- if others want to, leave them to it. Try to instill in your kids, that there are 2 sides to every story.. and to expect the best of people. Or if someone does something bad, a nice response is ‘they must have been having a bad day’, because as we know none of us are perfect. SOCIAL MEDIA: To respond or not to respond, to take it personally or not take it personally, to post that picture, or to not post that picture, to like/share or to not like/ share. No wonder our kids get into all sorts of trouble online. We know they aren’t able to make good decisions yet, but they are let lose into the online world. I personally think we need to limit their time, (especially at night) and ask them to take a moment (follow step 1 and 2 above) before they decide what next on social media. Thank you as always for liking, sharing and commenting on social media. If you would like to sign up for bi-monthly blogs please scroll below and enter your email address.